As a business owner, keeping track of your bottom line and maintaining good relationships with your customers are two of the most important keys to success. There are challenges that constantly threaten these two things however, one of them being the need for business debt collections. As a business owner, you’re a commercial creditor and it’s your right to be paid for outstanding debts your business is owed. 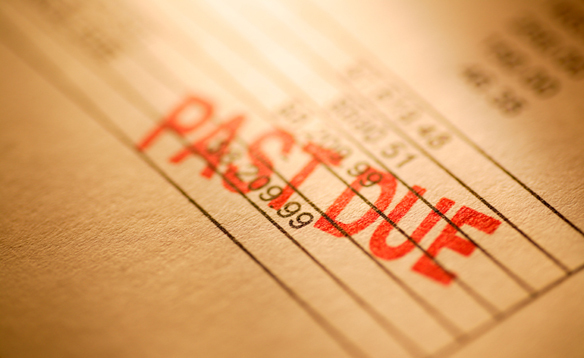 Failure to be proactive about debt collections can be a huge challenge, however. A cash-only business is one way to avoid having to collect unpaid bills from customers, but it isn’t feasible for many businesses. Customers often see it as a hassle to pay in cash or upfront, preferring to pay for services and products on credit and pay their bills through the bank and credit card company later. At first, it may seem like everything is working well as clients come in and make purchases, generating sales and revenue and bringing money into your business, even if you don’t see it in the cash register. However, if a customer that makes a purchase on credit fails to pay their bills on time, or at all, it can be a problem for you as a business owner. 1. Debtors that make excuses for their late (or lack of) payments. Although some customers that miss a payment have legitimate excuses and may not be repeat offenders, it is best to be proactive as a commercial creditor. As soon as possible after the missed payment, reach out to the customer and communicate with them about the issues. Direct conversation with the debtor will allow you to assess whether rectifying the problem will be an issue. Opposite of the customers that accidentally make a late payment, some customers may be repeat debtors that regularly fail to make payments. They may even blame you as a business owner and say that they never received the bill or that there is a dispute with the charges. To be effective at collecting unpaid debts and not waste extra time with unruly debtors, be sure to have a strict system and set of guidelines in place for dealing with late payments. Anticipating excuses and having policies that address debt collection issues will give you something to fall back on in the case of stall tactics and excuses. 2. Customers that file for bankruptcy. If your customer is a business that has filed for bankruptcy, you are no longer dealing solely with that client to get your money back. Creditors are legally required to stop their collection efforts once a business has filed for bankruptcy and go through a process with bankruptcy court to be reimbursed. After notification that a debtor has filed for bankruptcy, you should file a Proof of Claim and other required paperwork with the court. The Proof of Claim can be fired directly, although many choose to enlist a commercial collections attorney to ensure that they are taking the appropriate actions. Because it is a court proceeding from the time that a debtor files for bankruptcy, it can often be a long process and you are not automatically guaranteed to receive reimbursement of the debts owed to you. 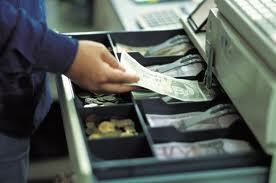 However, companies that are secured creditors are generally more likely to be granted repayment of the debts. To be a secured creditor, there are steps involved that must be taken proactively to ensure the title before the court decides on the bankruptcy case. 3. Customers that go out of business before their debts are paid. Even when facing issues as a business owner yourself, it’s not an expectation that your customers will go out of business. However, it is something you should stay aware of as it affects payments of debts owed to you. Maintaining open lines of communication may allow you the advance notice needed to deal with customers whose businesses are struggling and whose accounts may be at risk. Creating a strict process for your accounts receivable and keeping an eye on debt collections can significantly decrease the risk of unpaid debts. By screening businesses carefully before you offer them credit, you are protecting yourself and your business against the potential failure of theirs. Implement a strict background check and application process for customers, making sure that their credit check is acceptable and that they have verifiable bank and trade references. In order to be even more proactive, schedule routine checks for existing customers to make sure they are meeting your standards for having a line of credit. Don’t risk your business’s finances on someone else, if an account slips into delinquency or payments are late, take action to collect the debts owed to you immediately.If you wait or give a company more time, it could become a bigger hassle if the company goes out of business and the people liable for the debt become hard to reach. 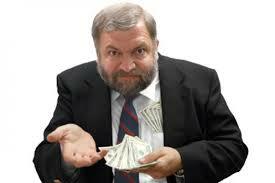 Deciding a course of action if you are owed money can be difficult. Cost, effectiveness, and legal issues are all factors that creditors face, and each situation calls for a different approach. If you or your business is facing unpaid debts and delinquent accounts and you need help pursuing debtors, the commercial collections attorneys at Berkowitz Klein LLP can be the solution you need to efficiently and effectively collect accounts that are delinquent. This entry was posted in No Category on July 2, 2013 by Gerald S. Berkowitz.